The Arabsat-6A satellite is on its way to its intended orbit at 30.5 degrees East after its successful launch on SpaceX‘s Falcon Heavy rocket, the Saudi operator confirmed. Built by Lockheed Martin as its largest and most powerful commercial satellite to date, Arabsat-6A will provide high-capacity telecommunications, delivering television, radio, internet, and mobile communications to customers in the Middle East, Africa, and Europe. The spacecraft is the last of Arabsat’s 6th generation satellites. The satellite utilizes advanced Ka-spot beam capabilities and Ku and Ka-band coverage, in addition to other frequency bands. The Arabsat-6A mission was also a complete success for SpaceX. Not only did the U.S. launch provider successfully lift the Arabsat payload to orbit, it also successfully landed all three of its boosters back on Earth. 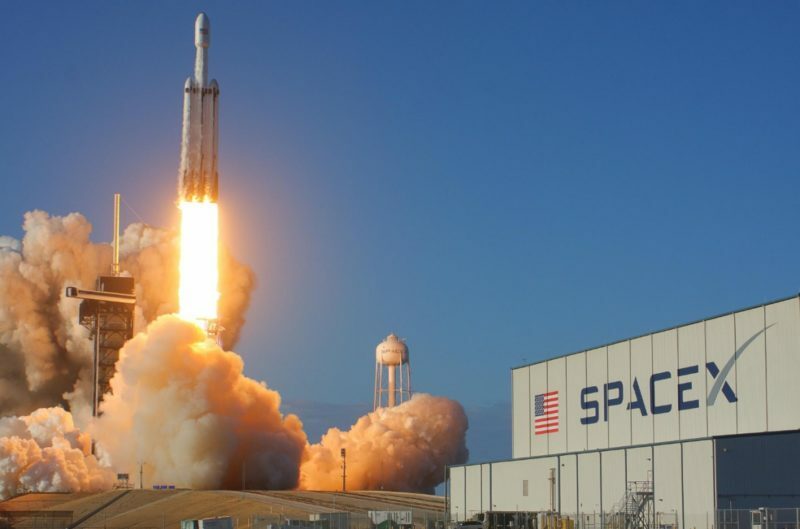 The Falcon Heavy’s main booster to make a difficult landing at sea — on a ship positioned hundreds of miles offshore in the Atlantic Ocean. Falcon Heavy’s two side boosters landed at Cape Canaveral Air Force Station in Florida. The post Historic Arabsat-6A Launch is a Success appeared first on Via Satellite.